Discussion in 'Feedback Requests' started by MoshiMoshiEnt, Jan 18, 2019. Feedback Details: I would like to get ur honest opinions, it is fun? It's not to hard? Hey i just added skins to the game! Check it out! Well, I've certainly haven't seen anything like this. I like running games, so I will give it a try! Cool! Hope you gonna like it! Downloaded a little while ago and played it for a while. It was funny! 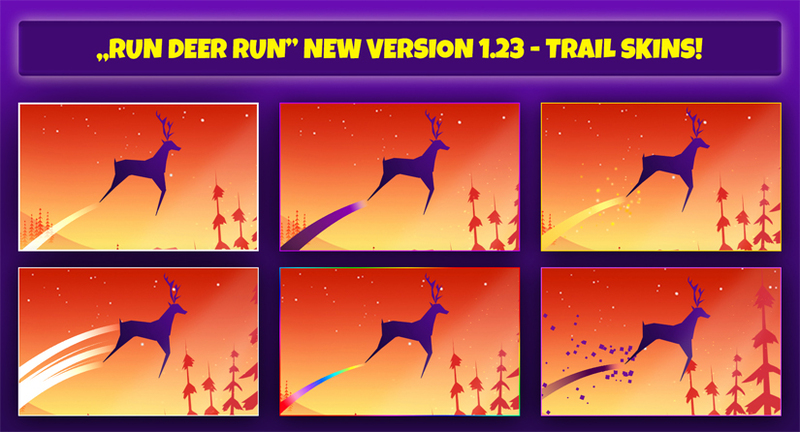 When you hold the jump button the deer starts bending, but he stops bending before the "jump meter" is full. So it took a while before I understood that I could jump much further. Added a review for you on Google Play!